MANILA – President Rodrigo Duterte on Thursday said he had just undergone a blood test. In a speech in Pasay City, Duterte showed his arm with a small band-aid to cover a syringe mark. 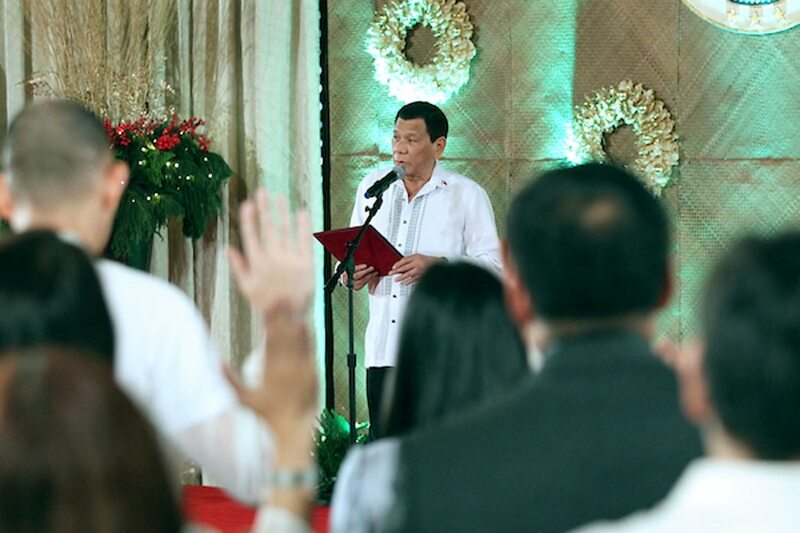 “Kinuhahan ako ng dugo, o iyong media magtatanong na naman ng sakit ko,” Duterte said in his speech during the 85th anniversary celebration of the Department of Labor and Employment in Pasay City. Duterte however did not disclose what the blood test was for. The health of the 73-year-old President has been a source of concern from the public. Earlier this year, he underwent a medical checkup to study a “growth” found in his digestive tract. The Palace has shunned issuing regular bulletins on Duterte’s health. Under the 1987 Constitution, the public should be told about the state of health of a sitting president. If the leader dies in office, permanently disabled or removed through impeachment, the vice president succeeds to serve the remaining years in a 6-year single term. Nearly half of Filipinos believe that Duterte is facing health problems, according to a recent Social Weather Stations (SWS) survey. Of 1,500 adults polled, 45 percent of adult Filipinos believe that the President has health problems while 26 percent do not. Some 29 percent were undecided about the matter, said SWS. The same survey revealed that 55 percent of the respondents were worried that Duterte would have health problems, while 44 percent said otherwise.